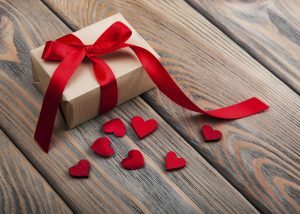 With Valentine's Day right around the corner, you may be searching for some gift ideas that won’t break the bank but are still romantic and meaningful. Here are a few ideas to help you plan your Valentine’s Day. If you don’t usually cook, this is a great way to surprise that special someone in your life. Or, you could plan a meal, go shopping, and cook the meal together. If neither you nor your partner is much of a cook, pick up some take-out to avoid the crowds and create a romantic picnic at home or, if you live somewhere warm, at a nearby park. Pool the money you would have spent on separate gifts and buy something you both want together. This could be something for your home that you have both wanted or use the money to buy a nice bottle of wine or a special dessert to go with your meal. While roses are the flower most commonly associated with Valentine’s Day, it is also the most expensive. Gardeners hold back their rose bushes from blooming until the holiday and then raise their prices. Take a look at some other beautiful options including daisies, tulips, and lilies. If you just can’t bear the thought of a Valentine’s Day without roses, look into a mixed bouquet or even a single red rose. Pull out those old photo albums and reminisce about the good times together. This is also a great opportunity to print out some of those photos that are just sitting on your camera, computer, or phone and surprise your significant other. Photo printing is fairly inexpensive and can even be done from home if you have a good printer and photo paper. If home cooked meals and DIY gifts aren’t your thing, wait to celebrate the holiday until after February 14th. You will then be able to make your purchases without the pressure or mark-ups often seen in restaurants and department stores. You’ll also have a greater chance of being able to get a reservation at that restaurant you love once the holiday crowd is gone. At the end of the day, it’s important to remember that it’s not about how much money you spend, but how much thought you put into your gifts. Simply taking the time to show someone how much they mean to you can mean more than all of the chocolate and roses in the world.